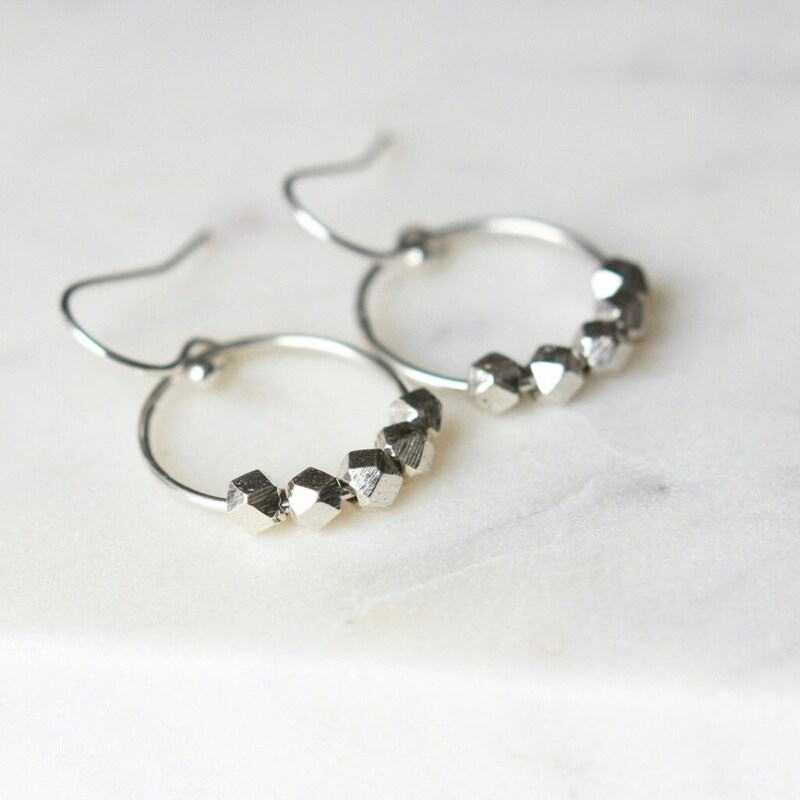 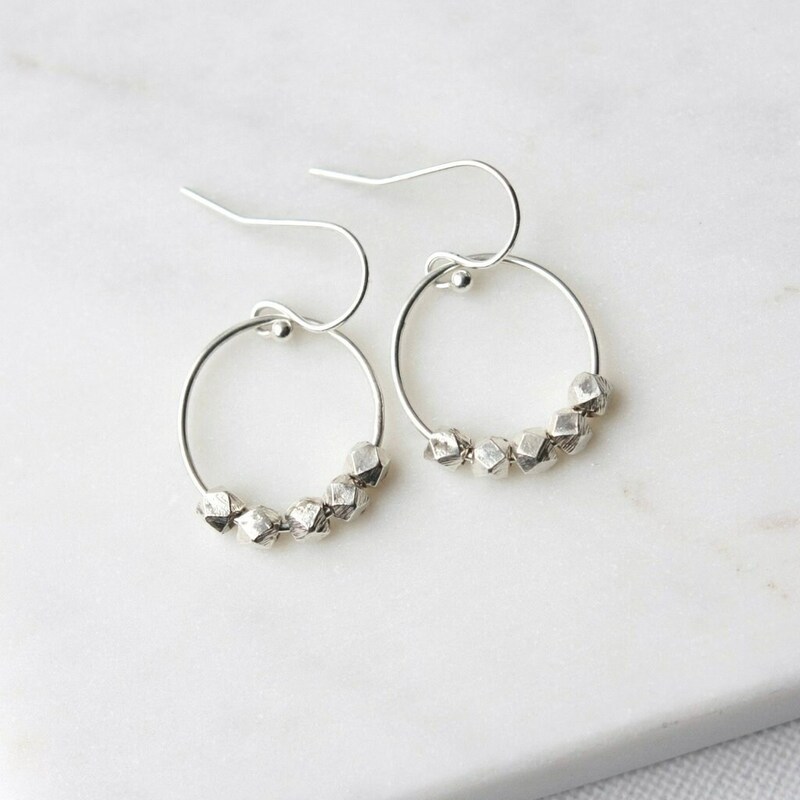 For these fun and trendy earrings I've combined two things I love - hoops and these faceted sterling silver nuggets! 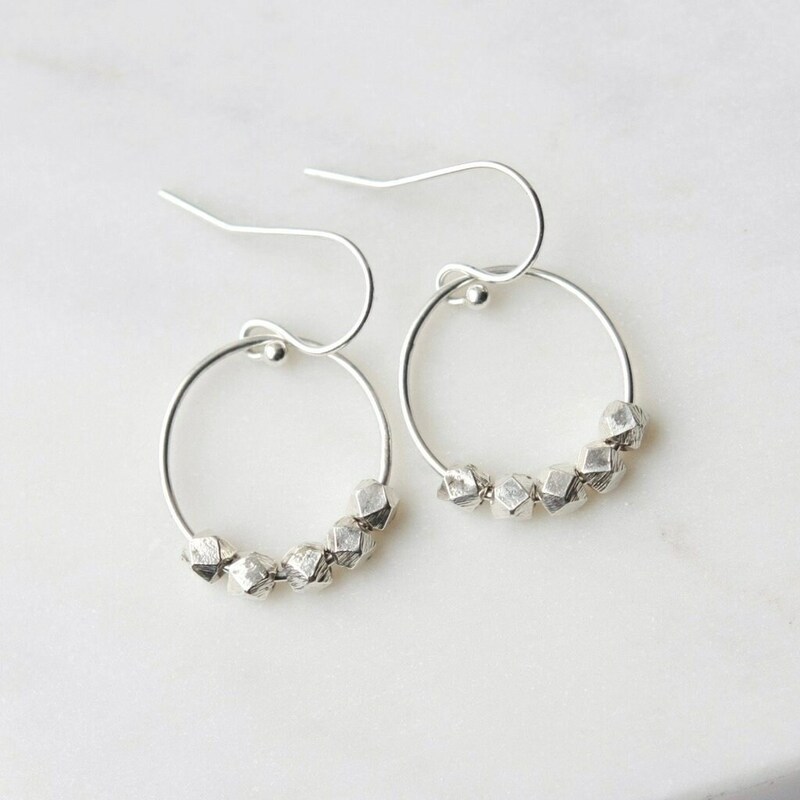 The nuggets catch the light for beautiful subtle sparkle and have a wonderful unique shape. 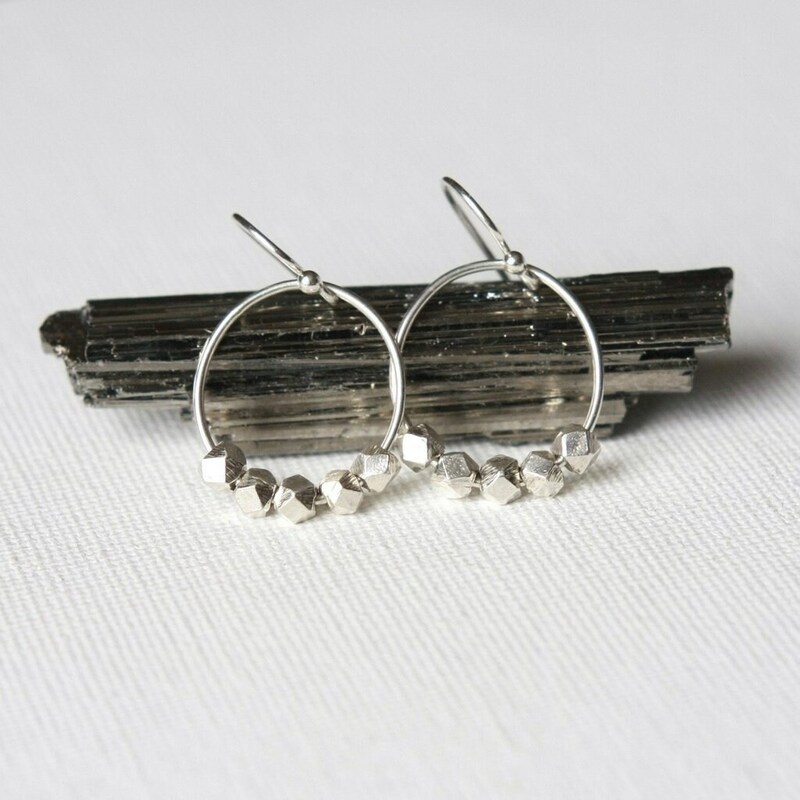 The earrings also have great shine and movement and are a perfect size for everyday. 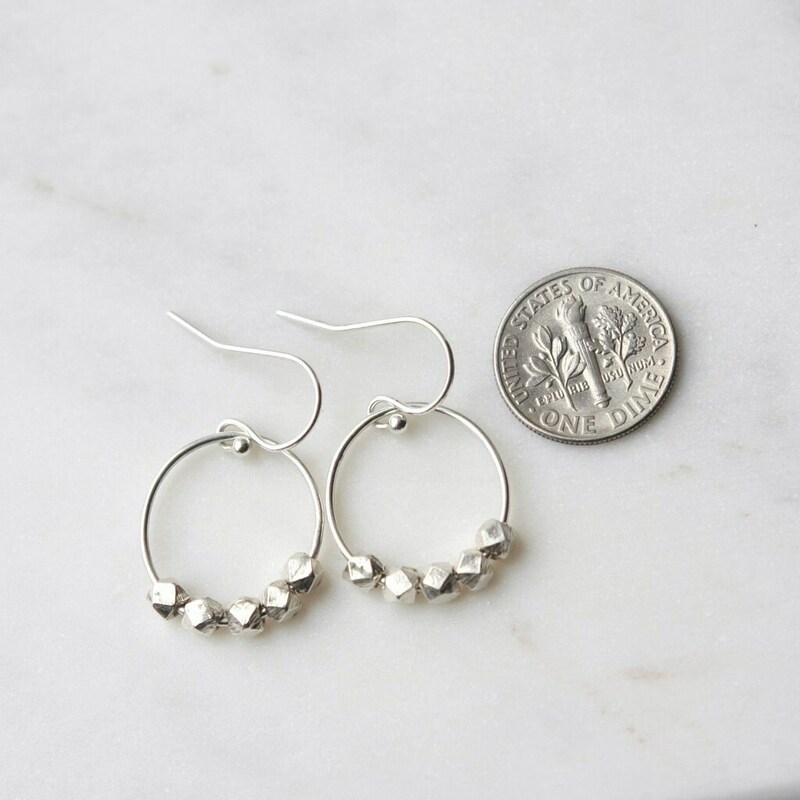 The soldered sterling silver circle is about 17mm and the bright sterling silver beads are 3mm wide. 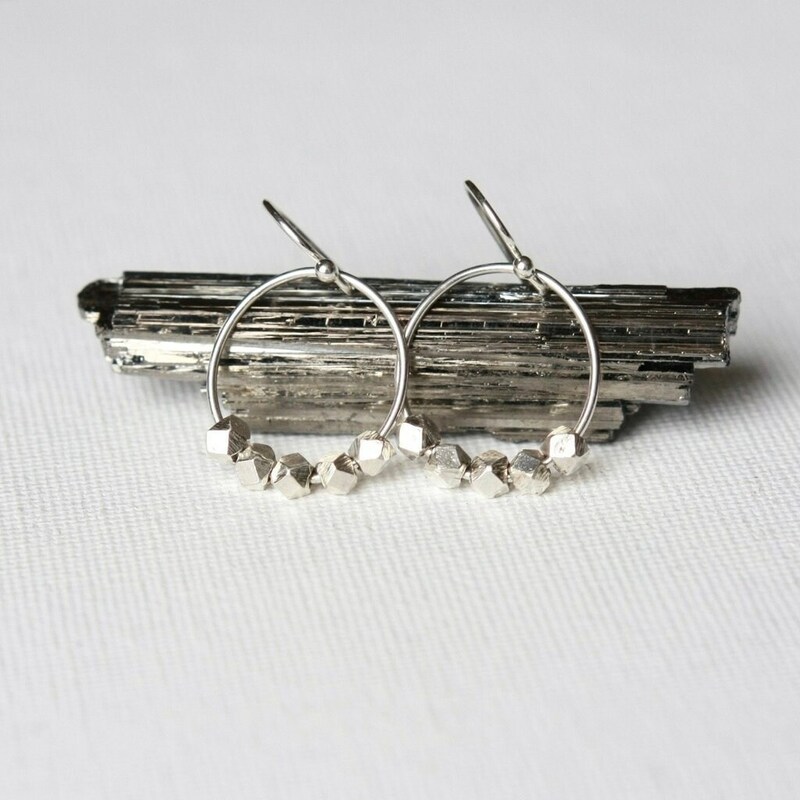 The earrings dangle just over a inch from the top of the sterling ear hooks.